The Strathy Language Unit was established at Queen’s University in 1981 with a mission to study standard English usage in Canada. Since that time, the unit has supported a variety of initiatives to examine Canadian English from diverse perspectives as well as the notion of a “standard” in an evolving linguistic landscape. We are extremely pleased to be welcoming Dr. Anastasia Riehl, Director of the Language Unit, to join us on April 10 to give a presentation on “Exploring Canadian English with Linguistic Corpora.” Given that the Unit is hosted at Queen’s University (it was founded with a bequest from alumnus J.R. Strathy), it seems only natural to have its unique work as the subject of an Editors Kingston gathering. In her role as Director of the Strathy Language Unit, Dr. Riehl pursues and supports projects that explore Canadian English from linguistic, social and historical perspectives. Her other areas of research interest include phonology (sound patterns) and endangered-language documentation. Hear Elizabeth’s report from the ACES conference in Providence, where 800+ American editors gathered for three days of editorial hijinks and general word nerdery, and where she sold a copy of Editing Canadian English 3 to the New Yorker’s copy editor emerita, Mary Norris. 7:00 p.m. (doors open at 6:30). Free for Editors Canada members; $5 fee for visitors (first meeting free). Kingston Twiggers puzzle over the Professional Editorial Standards word game. Nine people came together on Wednesday, March 13, to learn more about these standards and share their experiences of using them. Afterwards, we tested our knowledge by playing standards matching games. As a lead-in to her presentation, Elizabeth d’Anjou talked about her upcoming trip to attend the annual conference of the American Copy Editors Society (ACES) on March 30–31, representing Editors Canada. At previous conferences, several people have told her that they use our standards. (There isn’t anything similar in the United States.) Many U.S. editors are also intrigued by our certification program; according to – and thanks in large part to – honorary life member Lee d’Anjou, who said, “We invented it!” Elizabeth will be giving a talk on standards and certification at ACES. What Are the Professional Editorial Standards? The Professional Editorial Standards (PES) set out (to quote the 2009 version) “the knowledge, skills, and practices most commonly required for editing English-language material.” They clarify what is expected of Canadian editors working at a professional level, and they define the criteria against which an editor’s knowledge, skills, and practice can be measured. There are five categories: The Fundamentals of Editing, Structural Editing, Stylistic Editing, Copy Editing, and Proofreading. They’re comprehensive but succinct – only 16 pages long. And they’re available to anyone – you don’t need to be a member of Editors Canada – and can be downloaded from the association’s website. Editors use PES to guide their professional development, expand their editing skills, explain what editing is and what editors do, and prepare for certification. The word professional is key: to call oneself an editor, it isn’t enough to have a flair for noticing grammar errors; the job is more comprehensive than that. Standards provide a method for agreeing on what it is we’re talking about. Cat London suggested that freelance editors can use the standards as a tool for explaining to clients what’s involved in the type of editing they’re planning to do and as a rationale for their fee. Editors Canada uses PES to develop and maintain certification, explain what editors should do when performing various stages of editing, increase awareness of the value of editing, and design material, seminars, and courses on editing. An example of such material is the set of four Editors Canada workbooks, Meeting Professional Editorial Standards, each of which contains exercises based on the standards in one of the four main areas (plus the fundamentals). A new edition is in the works – Elizabeth is the project’s volunteer editor-in-chief – under the new title Edit Like a Pro, and it will include downloadable Word and PDF files for realistic, hands-on practice. The Proofreading volume is expected to launch in June and the Structural Editing one in the fall. Those who hire editors (both employers and freelance clients) use PES to determine what skills will be needed for the level of edit, to define the scope of a project, to help write statements of work, and to train in-house editors. Instructors of editors use them to prepare and mark teaching material for seminars and editing courses. Twig member Brenda Leifso is currently teaching the Fundamentals of Editing course, which is part of Queen’s University’s Professional Editing Standards Certificate. Each of the five courses is based on one category of the PES. Brenda said that many of her students are taking the course to determine their skill level. Most students have no experience in editing, but some are at the top level. Development of PES began in the 1980s and arose out of discussions about certification as it became clear that a test of editing skills needed to have a clear set of expectations to test against. Developing a set of standards required a long consultation process and approval by the membership. The original categories were Structure and Style Editing, Copy Editing, Proofreading, and Knowledge of the Publishing Process. These were updated in 2009 to Fundamentals, Structural Editing, Stylistic Editing, Copy Editing, and Proofreading. Structural Editing has two new standards – B3: If necessary, recommend headings and navigation aids to clarify or highlight organization of material; and B4: Recommend or implement the most effective positioning of auxiliary textual material (e.g., sidebars and pull quotes). Stylistic Editing was reorganized to add an explanation to the preamble and explain when a stylistic edit is performed, and it includes one new standard (C1: Improve paragraph construction to more effectively convey meaning). Standard C4 changed “rewrite” to “revise,” and C11 was changed to “Establish, maintain, or enhance tone, mood, style, and authorial voice or level of formality … (e.g., making text more engaging or entertaining).” Elizabeth likes to call this the “make it not be boring!” standard. Copy Editing has one new standard (D6: Review visual materials and organizational information to ensure they are accurate and correct, or query as required). Standard D5 added “historical details, narrative timelines” to the examples, and D11 changed the wording to include “arbitrary and confusing shifts and variations in terminology, logic, and mechanics.” Proofreading has two new standards – E6: Whenever possible, proofread the material in its intended medium; and E7: Understand English spelling, grammar, and punctuation, and correct errors within the limits of the proofreading role. Follow PES on Twitter! @ProEdStandards tweets excerpts from the standards about twice a week, and sometimes examples from other people’s tweets are connected to the standards. We had a brief session of sharing examples from our own editing that represented various standards and using the standards in our editing work (for example, to justify fees for a job or make clear that a particular task was an expected part of an edit). What’s the GST? with Michelle Waitzman – April 2 – Everything a freelance editor needs to know about GST/HST. Starting a Freelance Editing or Writing Career with Christine LeBlanc – April 6 & 13 – Learn the basic steps to your dream job! Usage Traps and Myths with Frances Peck – April 10 – Is impact accepted as a verb? Why are prevent and avoid so often confused? Is it okay to verbify? Learn the answers to these and many more scintillating syntax questions from one of Editors Canada’s most accomplished members and best presenters. Visit the Editors Canada training site for more info on upcoming webinars. You can also purchase past webinar recordings. Conference – June 7–9 in Halifax. It’s Editors Canada’s 40th anniversary! Stephanie and Elizabeth attended a conference call with other twig and branch leaders in February. After learning about the governance of the organization from President Gael Spivak, we had a lively discussion about attracting and retaining members. All groups find this a challenge, and several people offered their trials and tribulations. One branch finds that people join when they’re working as freelancers but stop renewing their membership when they’re hired for in-house jobs. Attendance at meetings is often low. Two groups give presentations to students: Quebec and Barrie (the latter meets at the local community college, which has a writing and editing program). Student members can now transition to regular membership over two years instead of paying for full membership in one shot. They’ll pay $100 the first year after they’ve graduated from their program, then the regular membership fee starting the second year. Editors Canada wants to encourage student members to become full members. Then we’ll have an open discussion. We’ll also ask twig co-coordinator Brenda Leifso to tell us a bit about her work as an instructor of a course leading to the Queen’s University Professional Editing Standards Certificate. Plus, standards word puzzles—and stickers! You might also like to read the series of posts about the standards on the Editors’ Weekly blog—including an interview with fantasy editor Karen Conlin, who definitely wins the prize for best style sheet examples! A co-coordinator of Editors Kingston, Elizabeth d’Anjou literally grew up in Editors Canada (her mother was a founding member), and she recently served as director of standards and certification on the National Executive Council. She has 24 years of experience as a freelance editor with a diverse clientele, from trade and educational publishers to government departments and non-profit agencies. A lively and personable presenter, she is a sought-after leader of seminars and webinars for editors and other communications professionals, including the unique Copy Editing Live! and perennial favourite Eight-Step Editing. She also teaches both copy editing and grammar courses for Ryerson University’s Publishing Certificate program. Elizabeth is also volunteer editor-in-chief for the update of Edit Like a Pro! Meet Anastasia Riehl of the Queen’s University Strathy Language Unit! Watch this space for details. Is there a more unsung part of a book than its index? A cover alone is enough – warnings aside – for potential buyers to render judgment on the thing as a whole. The dedication and epigraphs are read with tingling anticipation. The table of contents unfurls like a menu of servings to come. And then you dive in, to worlds unknown. By the time you reach the book’s final lines, they seem to take on extra weight – some readers even slow down while reading them, to savour the finale. There, you think, I’ve finished it. And some readers stop there, never looking at what comes next: for, bibliography aside (which is perhaps like an index but in reverse), the lowly index is the only part of the book you don’t even have to have read in order to say that you’ve read the book. And yet, think of its power – it vivisects narrative, scouring away rhetoric and turn of phrase to reveal what remains; it condenses arcs and appearances into orderly rows of ideas; it reaches across hundreds of pages to draw connections between one word and another, then points the reader to precisely where those connections began. Like pins for strings stretched neatly across a map, index entries are neat, detailed, orderly – they’re the book’s raw chemical components, as if all the confusion and wonder and pure verbiage of a book had been broken down into its constituent elements, one giant atom split. This may sound scientific, ruthless, reductive. According to Nancy Wills, however, a Kingston-based freelance editor and indexer, compiling the index can and should be a creative act. And it’s the opportunity to contribute creatively to someone else’s book – as she puts it, “unstitching the entirety of the manuscript” to see what’s inside – that draws her to indexing’s challenge. Nancy spoke to the Kingston twig of Editors Canada about indexing during the meeting of February 13, giving attendees a glimpse at a publishing role rarely thought of, not even by fellow editors. Nancy splits her time roughly 50/50 between editing and indexing, but she says indexing proves the more rewarding of the two for her. While editors play an important role in preparing a writer’s manuscript for publication, they must take care “not to trample”; indexers, meanwhile, in a sense are writers themselves, and their raw material and inspiration are the contents of the book they’re indexing. 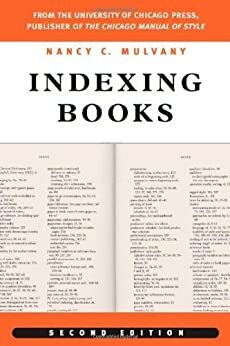 In some ways, the index is the book’s first review: a poem of locators, to which one could turn first to judge what is inside, as Nancy says she does when browsing in bookshops herself. “The heart of the book is the index,” Nancy says, and it’s her job to capture the strands – from mentions of items or individuals to broader concepts and themes. While authors sometimes provide a list of key terms they would like included in the index, Nancy says she works best when she enters a manuscript with a fresh mind, consulting that list only later, to make sure she has everything gathered. Being at once granular and overarching, an index in preparation can reveal anything from inconsistencies of spelling to book-length themes even the author didn’t realize were present. Nancy says she reads like a reader, however, anticipating their needs rather than those of the author; she must consider which subjects are usefully included in an index and which are best left out. Even 15 years ago, constructing an index meant working with recipe cards (no surprise they’re also called index cards). Today, as with everything in society, there are computer programs to help with the process – Cindex, Macrex, and Sky are most common – but each has its strengths and weaknesses. Nancy still finds it best to print the manuscript and read it, with a ruler, line by line. She reads closely – even more closely than editing requires – and is alert to any item that might be a potential entry. At the same time, she has Cindex (the most popular of the three, in Canada) open on her computer, with the manuscript also open in Word or PDF format in another window. Finding a term in the hard copy, she’ll do a search in the digital version for other instances of that word. If no others come up, there’s no need for that heading. If there are others, a new entry begins. There are two types of index preparation: back-of-book and embedded. The terms refer to how the indexes are created. Back-of-book indexes grow as they are written, with no electronic generation involved: the indexer starts adding entries, and the index takes shape as work progresses through the manuscript. For an embedded index, meanwhile, index terms are tagged electronically wherever they appear in (for example) Word files, and these tags are used by the editing program to generate the index all at once: only at the end of the process does the index get compiled and spit out for review and revision. As a result, the growth of an embedded index is less organic and much less rewarding to work on. It takes about 25 percent longer for the indexer to compile, compared to a back-of-book index, and the process is much more fiddly, as any slight disparity in spelling, font, or style means multiple entries generated for what should be the same term, which then need to be resolved. However, because the index can be prepared at the same time as copy editing or proofreading happens elsewhere, using embedded indexing shortens the production period for a new title as the indexer doesn’t need to wait for a page-perfect, laid-out proof to arrive before beginning the job. Embedded indexes are increasingly being requested by publishers. Other quirks of indexes have to do with the demands of particular publishers or projects: bold or italic emphasis for figures; indented versus run-in (run-in restricts subheading use, so it’s usually best for trade non-fiction or less technical works); alphabetization (word by word versus letter by letter); sequencing of, for instance, Asian names, in which the family surname comes first, or Spanish names, in which a maternal name comes before a paternal name, and the question arises as to how a reader would think to search for these. Fortunately, as when solving thorny issues of editing, others have bravely come before. Nancy was inspired to take up indexing by an Editors Kingston talk by Ellen Hawman, indexer for Queen’s University’s mammoth Disraeli Project, who, Nancy says, makes “beautiful” indexes, works of art “like a paisley pattern.” Essential reference books include Indexing Books, by Nancy C. Mulvany, and Indexing Biographies and Other Stories of Human Lives, by Hazel K. Bell, both classics of the trade. 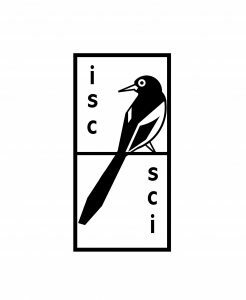 Also useful for indexers is membership in the Indexing Society of Canada (see www.indexers.ca), which holds regular conferences and issues a bimonthly magazine, The Indexer, free for members. Nancy has the highest praise for the society’s membership and activities. Examples of indexes can be found as far back as the earliest printed books. Some resembled modern indexes, though the word often referred to what we would now think of as tables of contents. Henry Benjamin Wheatley (1838–1917) is often cited as the father of modern English indexes, having founded the (short-lived) Index Society and written two foundational and still-read indexing books, What Is an Index (1878) and How to Make an Index (1902). Today, indexing continues to develop to meet modern needs. Nancy cites the federal government’s Truth and Reconciliation Commission Final Report as a massive contemporary Canadian indexing achievement, requiring bilingual teams working in concert to solve issues of, among other things, how to identify people known by multiple names or those remaining anonymous. British Columbia’s legislative assembly also engages in leading-edge work by tagging its video recordings of proceedings and then providing indexes keyed to time stamps. Like everything to do with publishing, indexing has been changed dramatically by technology. Yet it also remains stubbornly, stalwartly, a creative, individual act. In the early days of indexing, Nancy says, there was a fear that indexes would lead people to stop reading books. Fortunately, quite the opposite occurred: an index simply makes a book more useful. And what could be more useful than that? Remember the Editors Canada 40th anniversary conference taking place in Halifax on June 7–9! Check out the upcoming webinars here. Next meeting, we’ll be talking about Editors Canada’s Professional Editorial Standards. Watch this space for more details! 7 p.m. (doors open at 6:30). Join us on Wednesday, February 13, to talk indexing with member Nancy Wills! A former co-coordinator of Editors Kingston, Nancy is a freelancer who splits her time about evenly between editing and indexing. “After many years with the provincial government,” she says, “some years ago I embarked on a career change that allowed me to focus on the aspects of the former job that I most enjoyed.” Nancy is also the Editors Canada list monitor. She’ll share her experiences as an indexer in an informal chat. Bring your indexing questions, comments, and experiences. And look forward, as always, to networking (and snacking) with your fellow twiggers. Don’t forget the Editors Canada webinar series, Copy Editing Live!, led by twig coordinator Elizabeth d’Anjou, begins on Thursday, February 7. The Editors Kingston twig met on Wednesday, January 9, for a sprawling discussion about the challenges of working as a freelancer. Subjects included the fear of saying no to work, the challenges of working from home while maintaining some semblance of sanity, managing erratic cash flow, and dealing with difficult clients. Brenda Leifso and Stephanie Stone, two of the twig’s co-coordinators, helped lead the discussion. (Their partner in crime, Elizabeth d’Anjou, was unable to attend due to car troubles.) Also in attendance were Mickeelie Webb, Wade Guyitt, Bob MacKenzie, Sonia Gluppe and myself. More experienced hands, like Bob and Stephanie, spoke about how they’ve reached points in their careers where they’re no longer afraid to say no to contracts. Stephanie said that up until recently she felt pressure to take any work that came her way, even if it involved working nights and weekends to get it done. Lately she’s tried sometimes pushing back a bit to buy additional time and has found the client’s often OK with it. Bob’s at a place where he only accepts work that he finds interesting. Depending on how well he’s devised his estimate, he may or may not make money, but he said he’s at least sure he’s having fun. On the subject of productivity, Sonia had wondered if anyone adhered to the Pomodoro Technique—a productivity technique of breaking work up into 25-minute chunks, each followed by a short break. It’s big with software developers. I was the only one to have given it a (fleeting, half-hearted) go, and found it didn’t jive with my own work rhythms, but if you struggle with staying on task rather than on Facebook at your computer it could be worth a try. I brought up the issue that it’s hard to read tone when dealing with colleagues or clients remotely via email and social media tools. (I’ve found it helps a lot to have some face-to-face dealings with someone to get a read of character.) Wade added that interpreting tone can be especially challenging when working with people whose first language is not English. Sonia expressed frustration with having to wait months to be paid. Bob said he’s taken a cue from the construction industry, and structures his work contracts so that he’s paid a chunk of what he’s owed in the beginning, middle, and end of the work. Some of us use online apps to help track our hours worked. Others use Excel spreadsheets. Bob draws up a docket by hand and bills clients by the quarter-hour, like a lawyer. To stay on top of bookkeeping and invoices, Brenda carves out part of one day of the week to deal with bookkeeping matters: Financial Friday. For producing invoices, Mickeelie recommended Wave, a free online app that tracks invoicing, receipts and accounting, which syncs with your bank account. Mickeelie described the challenges involved with working for one difficult client who kept moving the goal posts for her editing responsibilities. As a consequence, the contract has taken much longer than expected, without any accompanying pay increase. Stephanie recalled one client that owed her $6,000 when the business shuttered. She eventually got paid, but it took two years. The national conference will be held in Halifax, June 7 to 9! Registration opening soon. How did that happen? Suddenly January is upon us in full swing, and already we might feel as if we are scrambling around trying to keep it all together. To that end, our monthly Kingston Twig meeting is scheduled for this coming Wednesday with the ever-pertinent topic of Managing the Freelance Life. Come share your questions and strategies around managing money, time, workflow, difficult clients, or whatever other questions or concerns you have around big-M and little-m managing. It’s often the editor’s task to straddle the divide between creativity and convention. How does this unique relationship to a text play out when it comes to that most creative of media, poetry? Our twig community happens to be uniquely positioned to discuss this question as we are fortunate enough to count among us a number of editors who are also poets (or is that poets who are also editors?). On November 14, those at the twig gathering heard from three of them: Brenda Leifso, Bob MacKenzie, and Mickeelie Webb shared their thoughts and experiences about the writing and editing of poems, with Ellie Barton moderating. The first questions of the evening were about Brenda’s office setup as attendees were intrigued by the mention in Ellie’s introduction that Brenda recently began using a treadmill desk. (She now walks about 20 km a day while working!) Brenda is, in addition to an editor and poet, a teacher, mother, yoga instructor, and outdoor enthusiast. Her third book of poetry, Wild Madder, will be published by Brick Books in April 2019. Her previous titles are Barren the Fury, published in 2015 by Pedlar Press, and Daughters of Men, published in 2008 by Brick Books. Brenda has an MA in English from the University of Victoria and a Master of Fine Arts in Creative Writing from the University of British Columbia. She now lives in Kingston, although her eastern migration from Victoria took about 20 years. 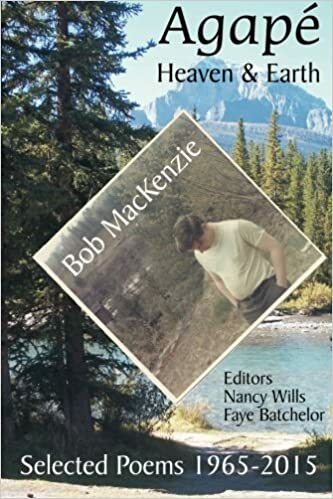 Bob MacKenzie has been writing poetry since his teens and has been a professional literary and commercial writer in many forms, including poetry, for more than half a century. He has eight books of poetry published, with another on the way. (He modestly refraine d from giving Ellie a list to include in his introduction, saying instead, “Blah blah blah—if you want to know, talk to me at the break”). He has worked as a professional editor, both as a freelancer and as an employee, in print and broadcast media as well as at advertising agencies. Although he is not a current member of Editors Canada, he was an early member of its progenitor, the Freelance Editors’ Association of Canada, and has been attending gatherings of this twig since its early days. Mickeelie is building a career as a freelance editor here in Kingston. She completed her master’s in English at Queen’s in 2017 and liked Kingston so much that she decided to stay. She writes both fiction and poetry. While her poetry presently remains largely unpublished, it has been featured in a number of other avenues and media. In the summer, she started performing her poetry at the Elm Café, and her work has been featured (and was scheduled to be featured again later that week) on CFRC’s “finding a voice” program, hosted by Bruce Kauffman. Mickeelie created her first poetry chapbook for this event! Recordings of earlier webinars are available for purchase. Connecting with Other Twigs: Elizabeth participated in a conference call recently with leaders of the other Editors Canada twigs in the eastern half of the country, including Barrie, Halifax, Kingston/Waterloo. She noted that several other twigs also have instituted fee policies similar to ours (Editors Canada members attend twig meetings free, and visitors are charged $5 per meeting after attending the first one). It was a good exchange of ideas and information that will be repeated a few times a year. Coming Up in December: Holiday Social! Wednesday, December 12, 6:30 p.m.
It’s not enough to just edit things; a professional editor needs the editing to pay the bills, too. Last year in January, we had our biggest turnout ever with a highly practical session about marketing. This January, let’s talk turkey about money. How do you decide how much to charge? Is it possible to keep a steady income as a freelance editor? How do you ask for a raise at an in-house editing job? We’ll spend the evening sharing information, strategies, successes, and lessons learned. You’ll go home wiser, and maybe even come back in February a little richer! …or is it Poets Talk Editing? Our twig community is fortunate enough to count among us a number of editors who are also poets (or is that poets who are also editors?). On November 14, a panel consisting of Brenda Leifso, Bob MacKenzie, and Mickeelie Webb will share their thoughts and experiences about the writing and editing of poems. Ellie Barton will moderate. It is often the editor’s task to straddle the divide between creativity and convention. How does this unique relationship to a text play out when it comes to that most creative of media, poetry? Join us to consider questions of art, conventions, inspiration, process and more—and, of course, to share snacks, network, and socialize with fellow twiggers. Bring questions! Bring a friend! Bring a poem! Come celebrate the season with your fellow twiggers by enjoying an informal, pay-as-you-go meal. Partners and friends are welcome too! Brenda Leifso recommends The Story Grid by Shawn Coyne. As the leaves turned red and the air turned cool in October, Editors Kingston gathered to talk books. Everyone had been asked to talk about a book they’d read recently, with a particular (but not exclusive) focus on reads that had taught them something, about editing or otherwise. We welcomed three newcomers: Jane Kirby, who had come to share some information about the Kingston chapter of the Freelancers Union (see under Announcements below), but was persuaded to stay for the bookish chat and excellent snacks (thank you, Brenda! ); Jonathan Balcombe, a long-time professional editor and writer recently returned to Ontario, and Anne Marie Benoit, who is exploring editing as a career and heard about the group through a family friend. Jane recommends Steering the Craft by Ursula K. Le Guin. Le Guin gives tips on writing and provides writing exercises. 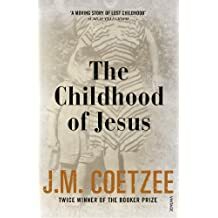 Jonathan recommends The Childhood of Jesus by J.M. Coetzee, about a man and a boy who immigrate to a new land. They face many challenges from learning a new language, to locating the boy’s mother, to fitting into a new culture with varying degrees of success. Also Underbugs by Lisa Margonelli, a pop science book about termites and how they live. 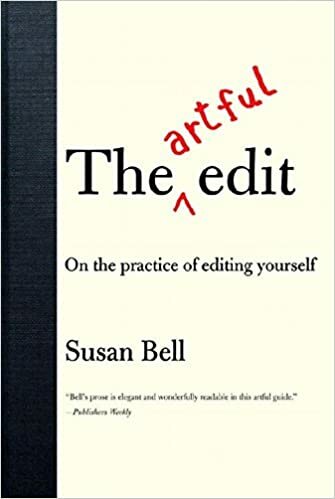 Greg recommends (with reservations) The Artful Edit by Susan Bell. This book is about how to edit your own writing and gain the objectivity to do so. Some of the points the book makes will be frustratingly obvious to experienced editors, but it may prove useful to new editors. Anne Marie recommends The Way We Hold On by Abena Beloved Green. This is a semi-autobiographical book of poetry. It is interesting because it successfully commits spoken word poems to the page. Brenda recommends The Story Grid by Shawn Coyne. This book is based on a podcast that features an experienced editor mentoring a new fiction writer; it will be of use to editors interested in editing fiction who need to learn the conventions of different genres of fiction. Elizabeth recommends The Canadian Press: Caps and Spelling by James McCarten. A book to use rather than read, this slender volume makes a useful companion to the Oxford Canadian Dictionary. It gives updated spellings and capitalization conventions and adds new words that did not exist at the time Oxford released its last Canadian edition. Also: February by Lisa Moore, which tells the story of a woman who loses her husband when the oil rig Ocean Ranger sinks off the coast of Newfoundland on Valentine’s Day, killing everyone working on it. It shows what the woman’s life was like before the event as well as the lingering effect it has on her life afterwards. Jane Kirby shows off a Canadian Freelancers Union postcard. Freelancers Union: Jane Kirby, visiting from the Canadian Freelancers Union (Unifor), spoke about what the organization has to offer Kingston freelance workers, which includes many editors. Health insurance, support in cases of grievances with clients, and advice related to contracts are some of the services. The union also puts on some local events, including a panel discussion, Decent Work Under Ford, coming up on November 7. We hope to see Jane again! Webinars: Editors Canada upcoming webinars include a four-part series on plain language led by Kate Harrison Whiteside, a well-known expert in the area. AGM: The Kingston twig’s first-ever AGM was held on Wednesday, September 19,online using Zoom meeting software. Elizabeth gave a brief report on how the twig has fared over the last year; a few questions were answered; and members officially elected the twig leadership. Seven members (about half) and one visitor attended. The door prize of an Editors Canada calendar went to Greg Murphy. Fee policy: The twig’s fee policy is in effect: Editors Canada members continue to attend twig meetings free, and visitors are charged $5 per meeting (after the first). On November 14, a panel of Kingston editors who are also poets will share their thoughts and experiences about the writing and editing of poems. Join us!